Join us for our annual celebration of the first day of Spring. Please invite all of your friends as well. Bring your friends to Discovery Green, and let’s celebrate one of the oldest continuous festivals in human history together. 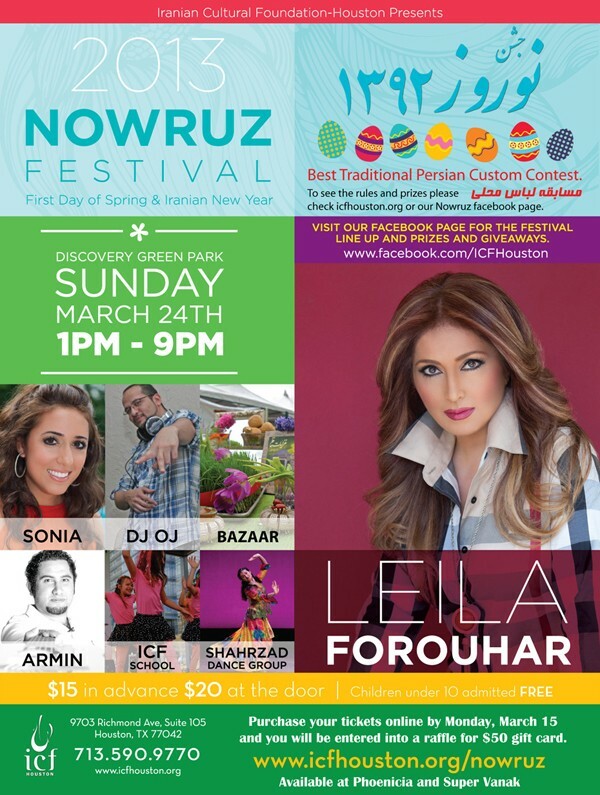 This year, our main entertainer will be none other than Leila Forouhar, who will be performing the entire evening. Tickets – People who purchase tickets online by Monday, March 15 will be entered into a raffle for a $50 Restaurant gift certificate.